Here is a simple little treat that brings a vibrant joyous aroma and taste. Filled with 100% wholefood goodness and natural sweetness, they bring an uplifting zing while satiating that inner cry for a sweet treat (but without the guilt). 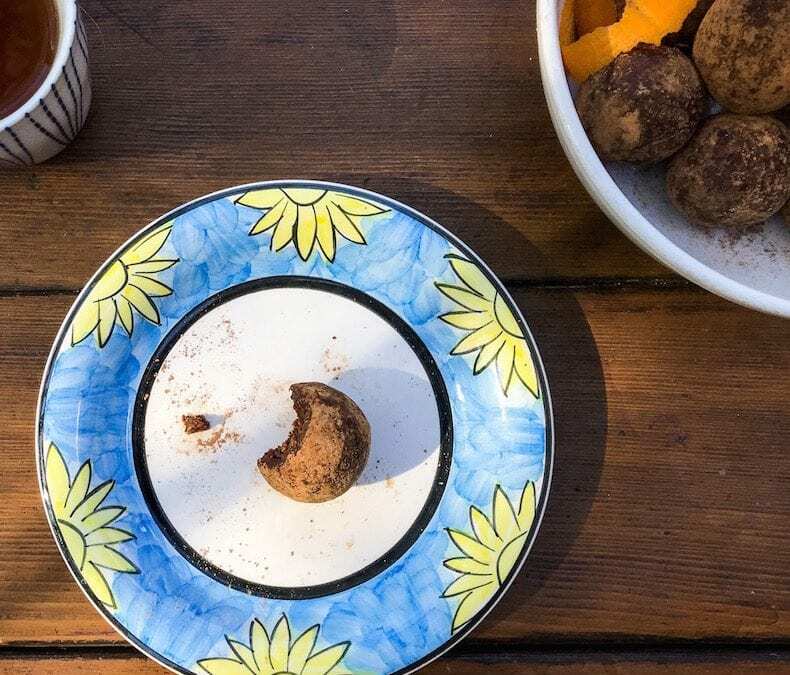 These raw jaffa balls are the perfect way to add a little extra joy into your day! Remove from freezer and leave to warm for about 20 minutes before eating. Serve alongside a nice cup of tea or coffee (or hot chocolate for the real chocolate fans)! Store in the freezer in an airtight container for up to 2 months…. But let’s be honest, they won’t last that long!